"Radar Love" Hex Cement Tile Clearance Sale! 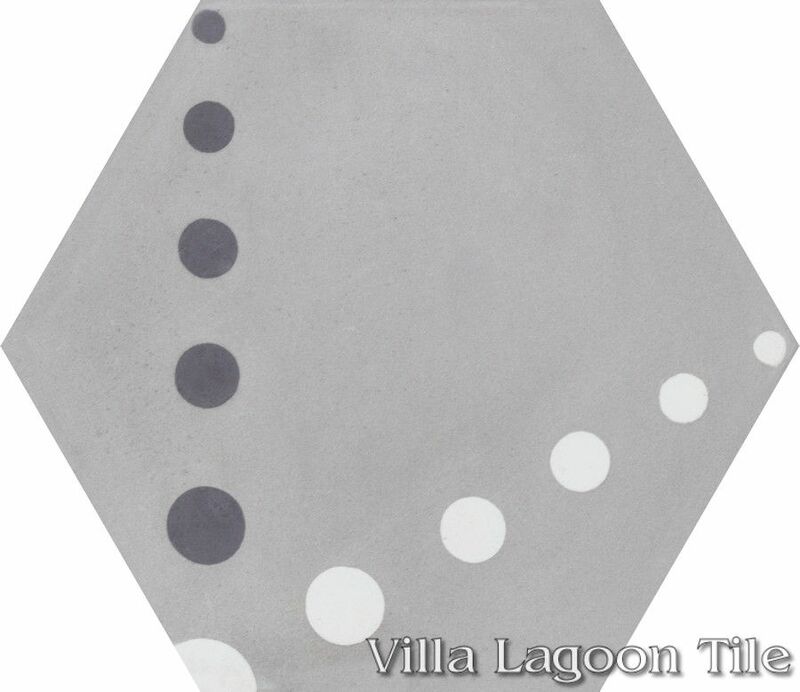 This is a 3-color 8" hexagonal cement tile, using the White, Excalibur and Urban Gray from the South Beach Palette. 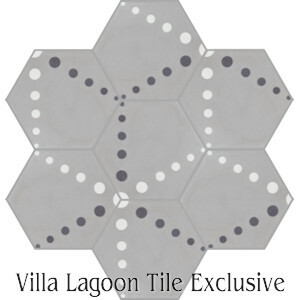 Villa Lagoon Tile's original "Radar Love" cement tile pattern features lines of dots that criss-cross across the hexagon, making larger hexagon patterns. Radar Love, Lot SB-D03, In Stock Clearance Sale! 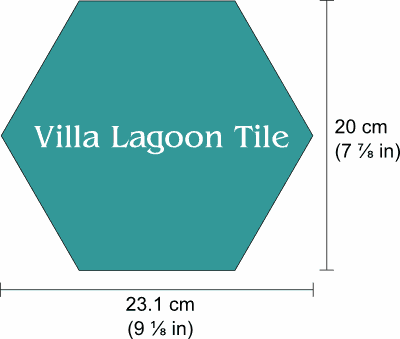 Standard Price:$6.24 per tile ($16.85 / square foot)12 tiles per box. 40% Off: $3.74 per tile ($10.10/ square foot) 4.44 square feet. 8" nominal hexagon. Approximately 20 centimeters, or 7 7⁄8 inches across parallel sides. 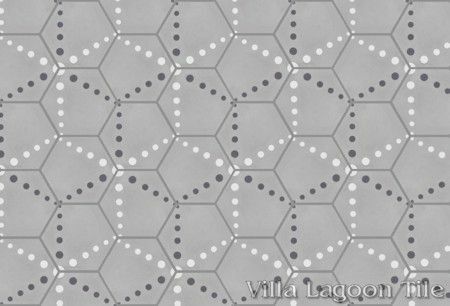 2.7 tiles per square foot. 12 tiles per box. 4.44 square feet per box.